Storm damage does not always happen after a tornado or hurricane. Any strong thunderstorm can cause damage to your home. After you experience storm damage, you may feel overwhelmed and not really sure how to go about fixing the damage. The good thing is that storm damage is a common thing, and many people go through it. For this reason, it’s relatively easy to establish a plan for what to do after storm damage occurs. Stay at least 10 feet away from downed power. Power lines could still have electricity flowing through them even if they are down. You should also contact your utility company. Look out for hazards such as broken glass, nails sticking out, and broken wood. If you are inspecting at night, use a flashlight instead of a candle to reduce the risk of fire or explosion due to a gas line. If you smell gas or suspect a gas leak, be sure to turn off your gas line and call your gas company. You will also need to leave your house until you have gotten the okay to come back in. When you start to look for damage, the roof is the best place to start. Your roof is the most susceptible to damage. If you choose to inspect your roof yourself, make sure you use the correct safety procedures. A tree limb or other heavy debris can make the structure of your roof weak. When assessing your roof, you should look for things like holes, split seams, missing shingles, and dents on gutters. After you have inspected your roof for damage, you will want to move on to windows and doors. Your windows and doors are most affected by strong winds. When inspecting your windows and doors look for cracks, holes, broken frames, and broken glass. Finally, you should inspect the siding, bricks, and other exterior surfaces of your home. As well as any outdoor appliances such as air conditioners. 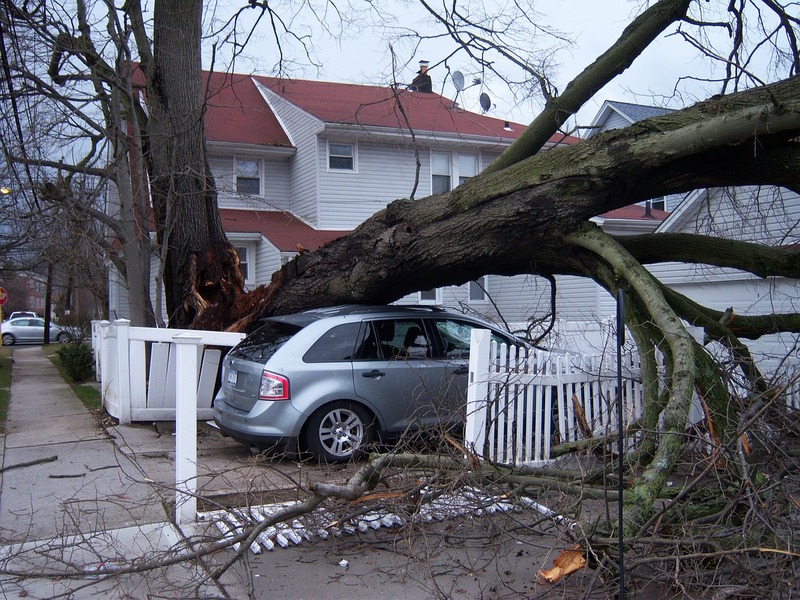 Once you know you have storm damage, you should call your insurance company. Your insurance company will work with you to file a claim and let you know what the next steps are. In addition to helping you file a claim, your insurance company will give you a list of providers that are in their network. Once you have inspected your home safely and contacted your insurance provider, it is time to find the right contractor. The first thing you want to do when selecting a contractor is make sure your insurance will cover that contractor. After you have chosen a contractor, you will want to make they do a thorough inspection of your home and give you an estimate. Once you have the okay from your insurance company work can begin. Storm damage seems impossible to prevent, especially during an active springtime. You don’t have to face damage to your property alone. These steps will help you begin the process of restoration. If you have experienced storm damage, don’t wait. The longer you let damages sit, the worse they become. Call the experts at Get Restoration Experts at 1-877-721-8812.